Is there anything Lin-Manuel Miranda can’t do? His gargantuan hit musical Hamilton continues to sell out Broadway and is soon to open in London’s West End. Aside from that, he’s proved a stellar TV host for Saturday Night Live, he wrote the Oscar-nominated songs for Disney’s Moana, he’s won a whole bunch of awards, is set to appear in the upcoming Mary Poppins sequel and is serving as producer and co-composer of Disney’s live action remake of The Little Mermaid. He is, to say the least, a busy guy. 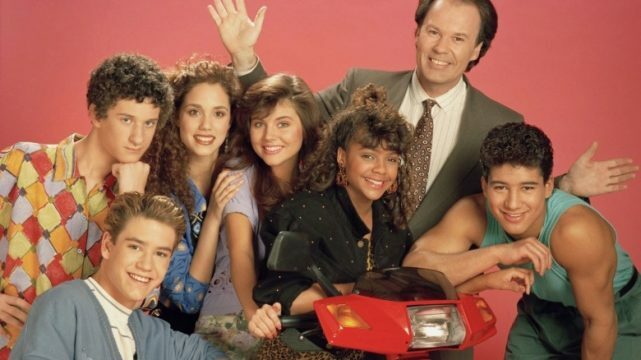 But there’s one project he will not be doing – an all singing, all dancing Broadmay musical based on Saved By The Bell. For those too young to remember, this was a teen soap/comedy/drama that was so wonderfully cheesy it wrapped right back around to awesome again. Set in an all-American high school, the plot followed a zany cast of characters who usually had to deal with lighthearted comedy mixups. But it’s arguable that the show is best known today for its ‘issue of the week’ episodes, in which the characters tangled with drug abuse, homelessness, feminism and drunk-driving (among others). It approached them with the dexterity and care of a bull in a china shop, yet was sincere enough to just about pull it off. He says to me, ‘You really inspired me.’ I said, ‘What are you talking about?’ He said, ‘You got the first diversity award from the Television Academy for casting colorblind.’ I said, ‘Indeed, I did.’ He said, ‘You inspired me.’ I said, ‘Look, you’re a Puerto Rican Hamilton, you’ve got a Black George Washington.’ He said, ‘You inspired me that I could do it.’ With that, I hugged him, and I said, ‘In that case, I’m really proud of you.’ And he started to cry, ‘You’re making me cry on my own stage!’ I realize I’d impacted him like I did my own children. That show must have done something. Indeed it must. But not enough to get him to sign up to Saved By The Bell: The Musical, which will now apparently be a 90s jukebox musical nostalgia-thon. Between you and me, I think Miranda might have dodged a bullet here.